The recent effects of immigration on the Argentine economy appear to be limited but positive. On average, immigration is not associated with job losses or income declines for the population born in Argentina. High-skilled immigration is on the contrary even associated with rising labour incomes among university graduates and female low-skilled immigration is associated with a higher labour-force participation of low-skilled native-born women. The estimated contribution of immigrants to value added is below their labour force participation share but above their population share. The estimated contribution of immigrants to public finance in 2013 was small. 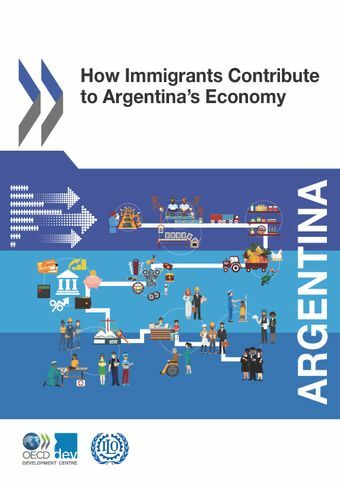 Additional migration and non-migration policies and better co-ordination between various policy areas could further improve the integration and economic contributions of immigrants.How Immigrants Contribute to Argentina’s Economy is the result of a project carried out by the OECD Development Centre and the International Labour Organization, with support from the European Union. The project aimed to analyse several economic impacts – on the labour market, economic growth, and public finance – of immigration in ten partner countries: Argentina, Costa Rica, Côte d'Ivoire, the Dominican Republic, Ghana, Kyrgyzstan, Nepal, Rwanda, South Africa and Thailand. The empirical evidence stems from a combination of quantitative and qualitative analyses of secondary and in some cases primary data sources.